PRICE IMPROVEMENT! 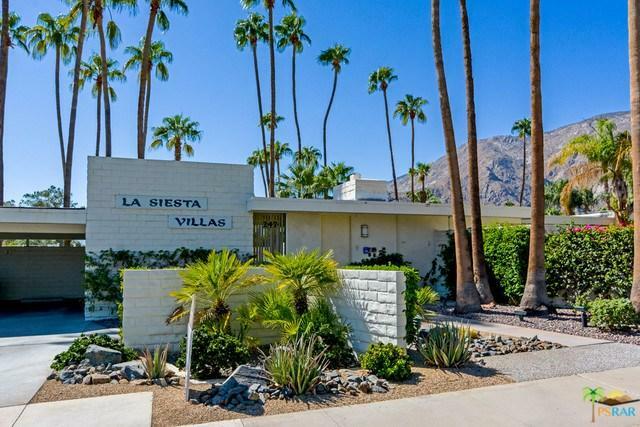 Perfectly located in prestigious Old Las Palmas, this Albert Frey designed Mid-Century complex exudes Old World ambience and is walking distance to the Palm Springs Uptown Design District with its chic restaurants, galleries & fabulous shopping! With views of the stunning San Jacinto mountains, the lovely community pool & spa are perfect for enjoying the mountain views & forever skies. This charming condo features Mid-Century touches including fireplace and 2 private patios. Enjoy the classic Palm Springs lifestyle in the ultimate neighborhood. Sold by Jacquelyn Storm of Cameron Realty Group.